TOWARDS the close of 1845 Sir George Grey was unexpectedly requested to administer the affairs of New Zealand. On arrival he found the Maori tribes engaged in hostilities with the Queen's troops, against whom they had contended with considerable success. He quickly realised he could neither successfully govern, nor hope to conciliate, with a people whose language, manners, customs and religion he was quite unacquainted. He decided that he should be acquainted with the language of the New Zealanders in order to redress their grievances. 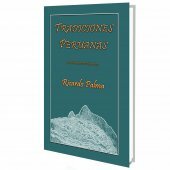 With no published Maori dictionary, nor books to study its construction, he found this to be a most difficult task. To his surprise he found that the Maori chiefs, in their speeches or in their letters, frequently quoted fragments of ancient poems or proverbs, or made allusions which rested on an ancient system of mythology. This gave him further impetus to learn the language of the country. 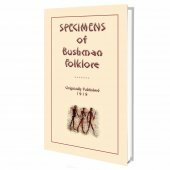 For more than eight years he devoted a great part of his available time to collecting these ancient myths, poems and legends, working in his spare moments in every part of the country. Once, when he had amassed a large amount of materials to aid him in his studies, the Government House was destroyed by fire, and with it were burnt the materials he had so painstakingly collected, and thus he was left to recommence his difficult task. The ultimate result, however, was the collection of a large mass of materials. He felt unwilling that the result of his labours should be lost to those whose duty it may be thereafter to deal with the natives of New Zealand; and he undertook to published his extensive collection of ancient traditional poems, religious chants and songs of the Maori race. 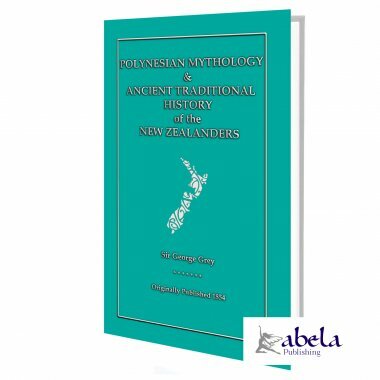 It is in this volume that Sir George Grey first presented to the European reader in 1854 the first written record and translation of the principal portions of ancient Maori mythology and of some of their most interesting legends. 33% of the net profit from this book will be donated to the Christchurch Earthquake Appeal. ONCE UPON A TIME Kiki was a celebrated sorcerer, and skilled in magical arts; he lived upon the river Waikato. The inhabitants of that river still have this proverb: 'The offspring of Kiki wither shrubs'. This proverb had its origin in the circumstance of Kiki being such a magician, that he could not go abroad in the sunshine; for if his shadow fell upon any place not protected from his magic, it at once became tapu, and all the plants there withered. The old sorcerer now made his appearance out of his house and he invited Tamure to come and eat food with him; but the food was all enchanted, and his object in asking Tamure to eat with him was, that the enchanted food might kill him; therefore Tamure said that his young daughter was very hungry, and would eat of the food offered to them; he in the meantime kept on repeating incantations of the kind called Mata-tawhito, Whakangungu, and Parepare, protections against enchanted food, and as she ate she also continued to repeat them; even when she stretched out her hand to take a sweet potato, or any other food, she dropped the greater part of it at her feet, and hid it under her clothes, and then only ate a little bit. After she had done, the old sorcerer, Kiki, kept waiting for Tamure to begin to eat also of the enchanted food, that he might soon die. Kiki having gone into his house again, Tamure still sat on the ground outside the door, and as he had enchanted the threshold of the house, he now repeated incantations which might render the door enchanted also, so that Kiki might be certain not to escape when he passed out of it. 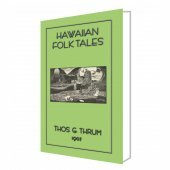 By this time Tamure's daughter had quite finished her meal, but neither her father nor either of his people had partaken of the enchanted food. Tamure now ordered his people to launch his canoe, and they paddled away, and a little time after they had left the village, Kiki became unwell; in the meanwhile, Tamure and his people were paddling homewards in all haste, and as they passed a village where there were a good many people on the river's bank, Tamure stopped, and said to them: 'If you should see any canoe pulling after us, and the people in the canoe ask you, have you seen a canoe pass up the river, would you be good enough to say: "Yes, a canoe has passed by here"?--and then, if they ask you: "How far has it got?" would you be good enough to say: "Oh, by this time it has got very far up the river"?' --and having thus said to the people of that village, Tamure paddled away again in his canoe with all haste.